Stay at Nevio Camping and make your holidays memorable! Heading to Croatia for a next camping experience? Practical, comfortable and modern. That is precisely the type of accommodation offered by mobile homes at Nevio Camping. At Nevio Camping, every pitch comes with its own charm. Find your perfect one! Nevio is a collection of mobile homes and pitches set in 7 hectares of beautifully landscaped grounds, rising up from the sea to a heartland that affords fantastic and memorable sea views. Make camping even more fun! 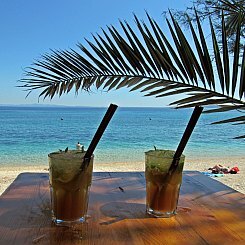 Meet other campers, enjoy tasty Mediterranean food, drink the best Croatian wines or a mojito next to the beach, chill next to a swimming pool or be active… play football, tennis, ride a bike, hike… Explore and feel the nature! NEVIO – Camping from RuhrkanalNEWS on Vimeo. 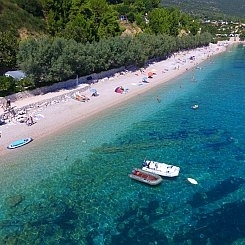 When it comes to beaches in Croatia, the best advice is to head south, to the Dalmatian coast. This one is truly a perfect example. It consists of pebbles that offer easy access to the sea. Sea is crystal clear and offers real refreshment in hot summer days. 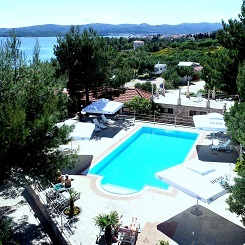 A restaurant overlooking the sea, the nearby islands (Mljet, Korcula…) and the Peljesac channel. 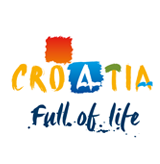 Here you can enjoy authentic Croatian food and great red wine from the area. Life is better… by the pool. Dive into our swimming pool or just read a book on the deckchairs and soak up the atmosphere. 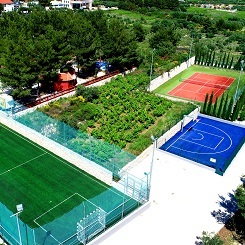 Spend quality time with your family playing on the multifunctional court – football, basketball, volleyball… or on the tennis court. New in 2017! 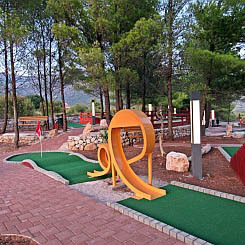 Nevio’s well designed, newly constructed course will make playing every hole a pleasure. 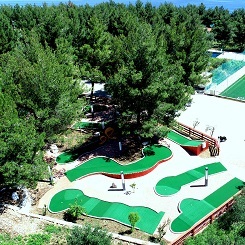 This is the perfect place for some friendly competition and fun. 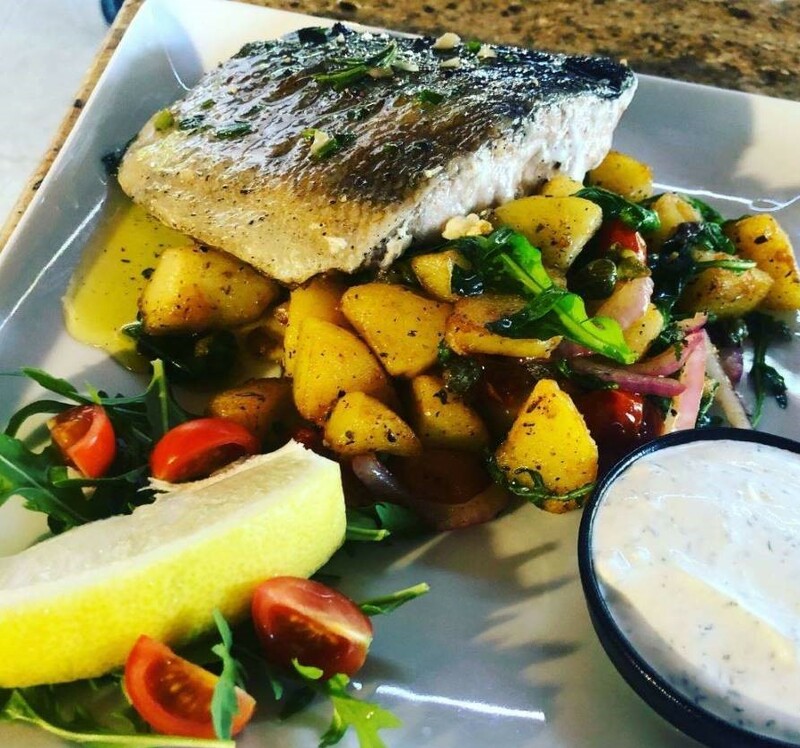 After a game, add some great food to great fun in our new gastro place, situated next to the course. READY FOR A PERFECT SUMMER? Whether you’re after a family holiday or a romantic trip just for two, there’s plenty to enjoy on the Pelješac peninsula. Prepare to discover the peninsula from our spacious camping site situated in an idyllic seaside environment. 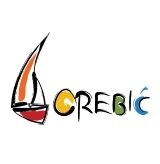 The town of Orebić is an ideal location for a vacation, situated near popular tourist destinations such as Dubrovnik, Korčula and the Mljet National Park.